Tracton AC caters for both adult and juveniles over 5 years of age. The club was established in 1954 and has long been a vibrant and integral part of the community, parish and surrounding areas. Tracton AC is a thriving club and has had many successes through the years. The club is affiliated to Athletics Ireland and all new and existing members benefit from membership of same. We cater for all levels of ability and most importantly we have fun, build lasting friendships and help one another to achieve or personal and athletic goals! Members of the club train regularly on our club track at Tracton Arts & Community Centre on Monday evenings, 7.15pm and Thursday Evenings at the Primary Care Centre Car Park in Carrigaline, 7.15pm. During the summer months, we train on a local road, Thursday evenings. Trained coach, Ian Dorgan, coaches us at both sessions every week and all year round. We also run Couch to 5k programmes and Strength & Conditioning classes throughout the year. Adult members compete regularly in 5km, 10km, half-marathons and full marathons at home and abroad! Juveniles (from age 5) train from March - September on Sunday’s 11.30am - 12.30pm on the club track at the Tracton Arts & Community Centre & Tracton GAA Pitch. They are coached in the 3 athletic disciplines: running, jumping and throwing, and attend sports days. We are delighted to announce that an extra training session for our juveniles aged 9 years and over commenced on 7th February 2019. This extra training session takes places each Thursday, 6.30 - 7.15pm at our running track at Tracton Arts & Community Centre. Our club coach, Ian Dorgan, leads these sessions. Focus is on running technique and endurance in preparation for the racing season ahead. Existing club members and new members are welcome to join these sessions. Please text our Juvenile Co-ordinator, Katherine McCarthy (087 697 2725) if your child (9yrs +) is interested in attending. The track consists of fine stone packed tightly together, is approximately 3 metres in width, and measures 380m approximately in distance. Non-athletic club members are very welcome to avail of the track for running or walking. After dark there is a meter system in operation. Specific tokens are needed to light the track for the duration of 1 hour. If you wish to avail of these tokens, please contact Committee Member, Breda on 086-3748756 or contact us via e-mail. If any other group would like to avail of the track for training purposes, please contact us for further information on the e-mail provided below. 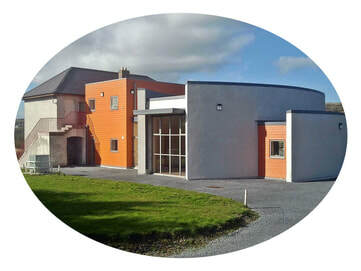 Tracton Athletic Club is partly funded by Tracton Lotto, with proceeds also split between local primary schools in Nohoval and Minane Bridge (Rennies NS and Knocknamanagh NS). Tracton Lotto can be played online - it is easy to play, and you can play numerous draws in advance. If you’re not in, you can’t win! Look for Tracton AC under Athletic Clubs in Cork and you're ready to play! €2 for 2 lines; €4 for 4 lines; and €5 for 6 lines. Sinead Quinn, Bridget Murphy, Clara O’Gorman, Kevin O’Connor, John Lynch, Sheila Moran, Vanessa Wall-Coveney, Billy O’Mahony, Breda Good O’Donovan, Siobhan Curtin, Vickie Hanlon, Ken Tierney, Louise Hayes, Caroline Walsh, Catherine Good.